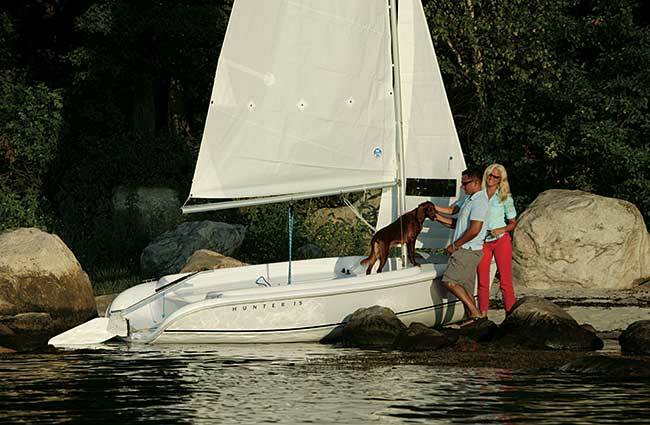 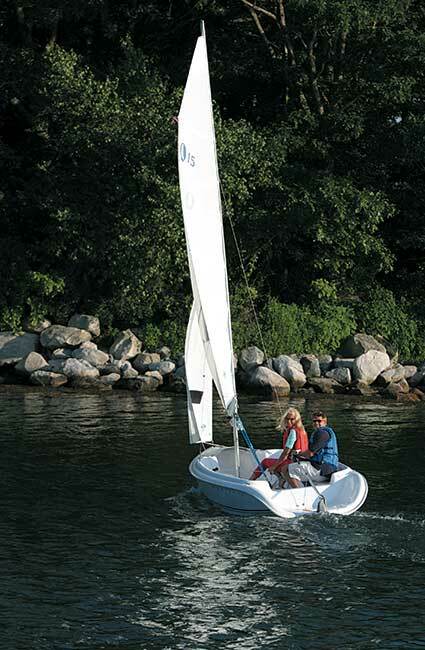 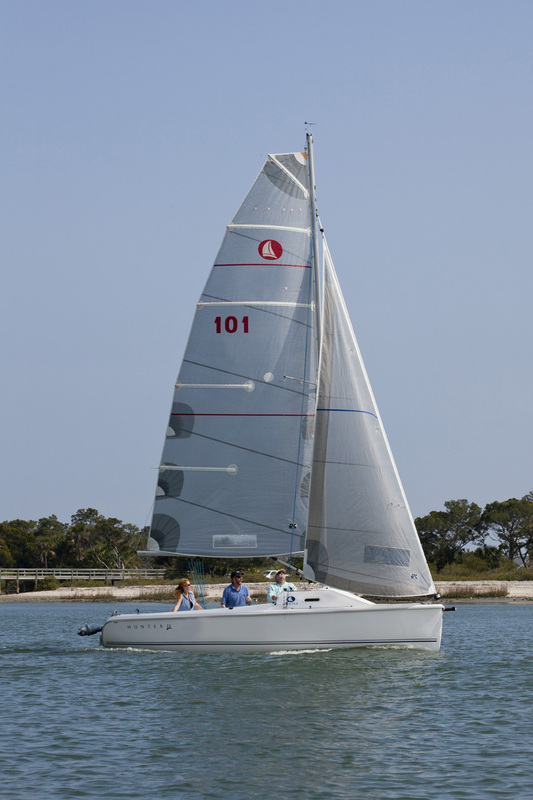 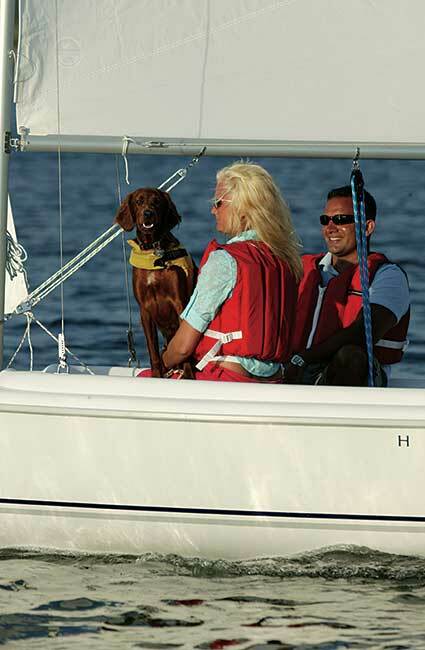 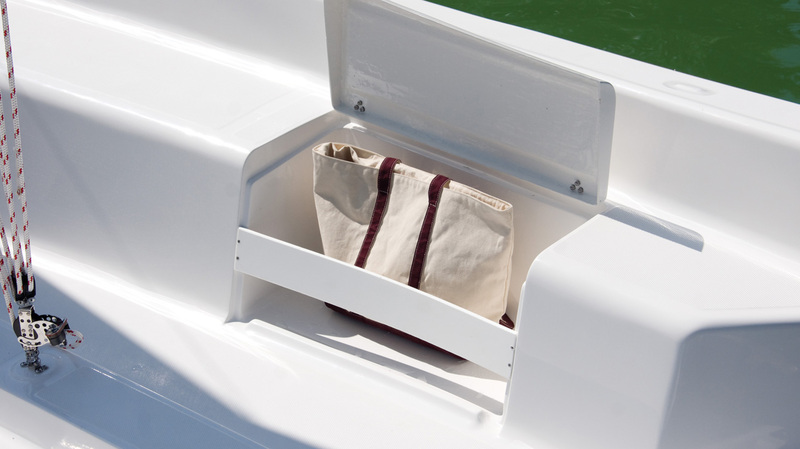 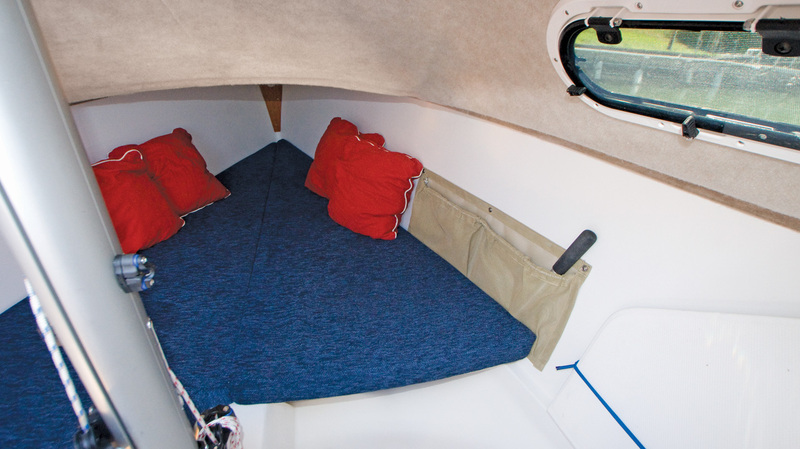 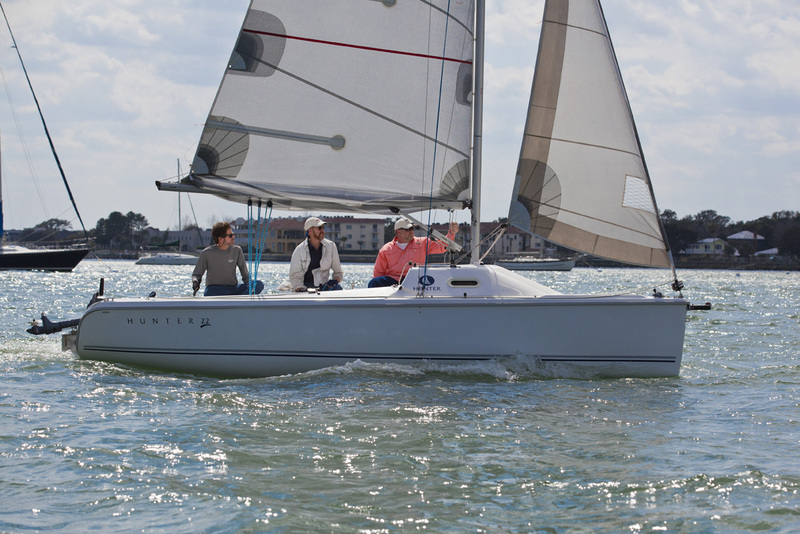 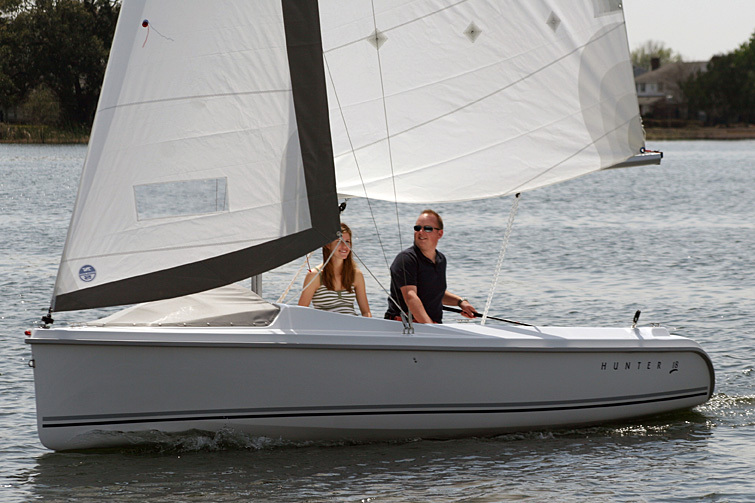 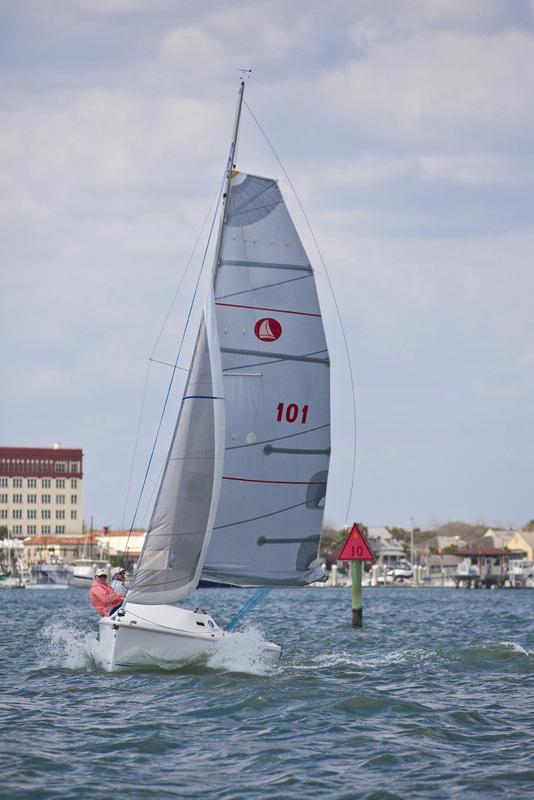 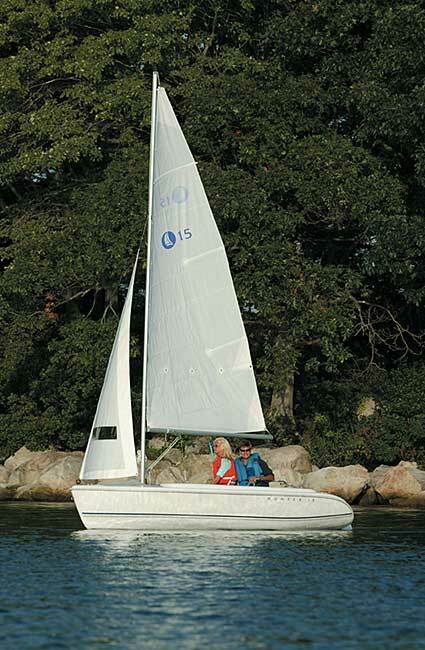 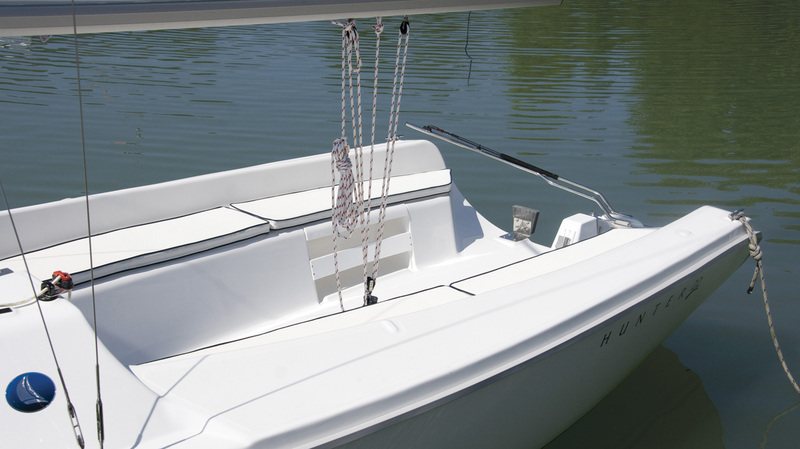 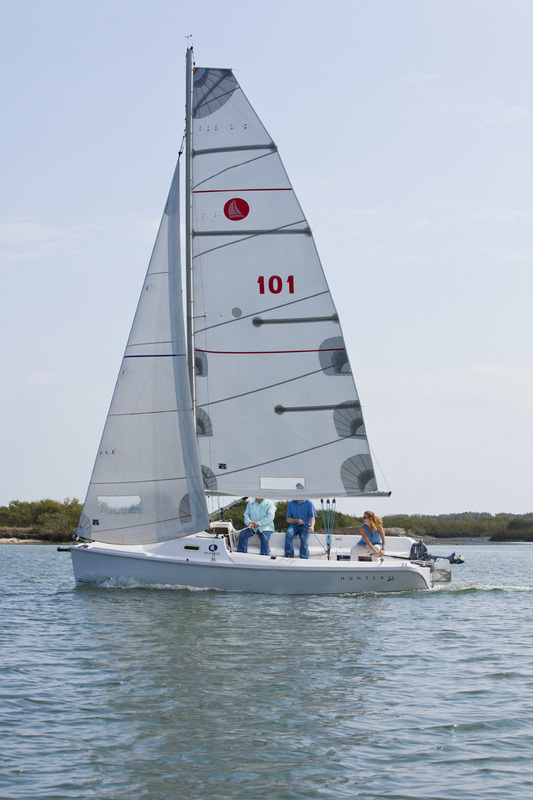 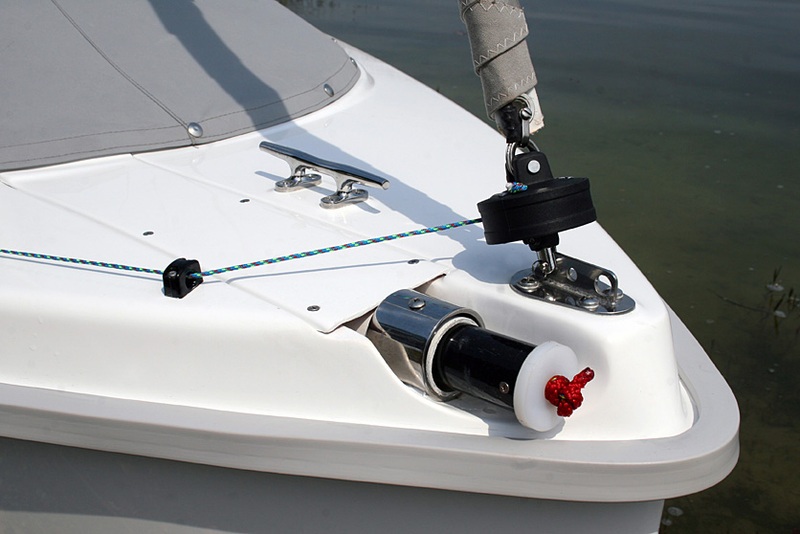 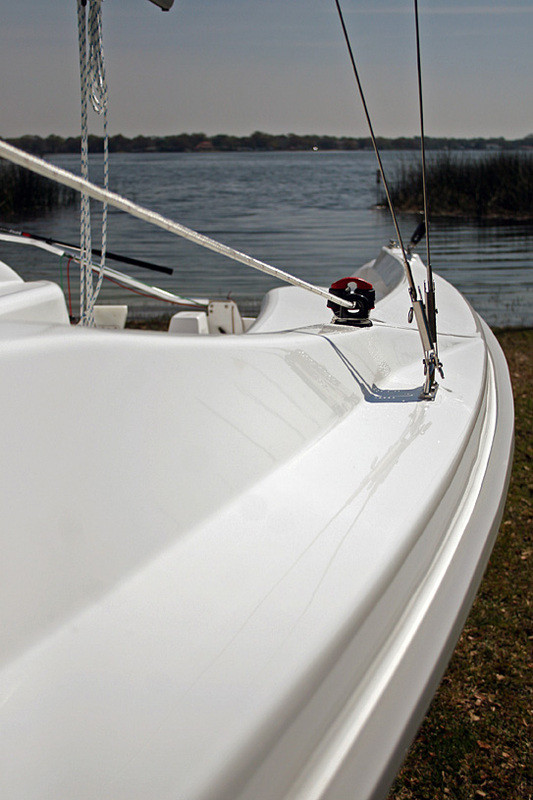 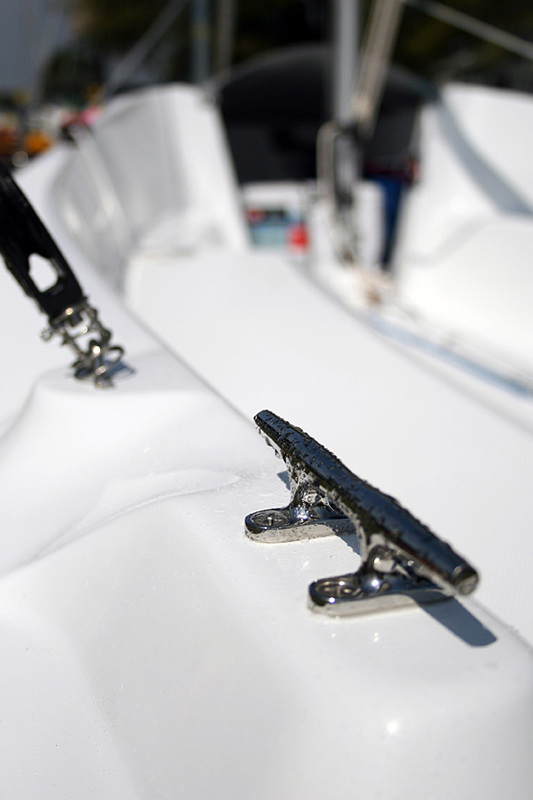 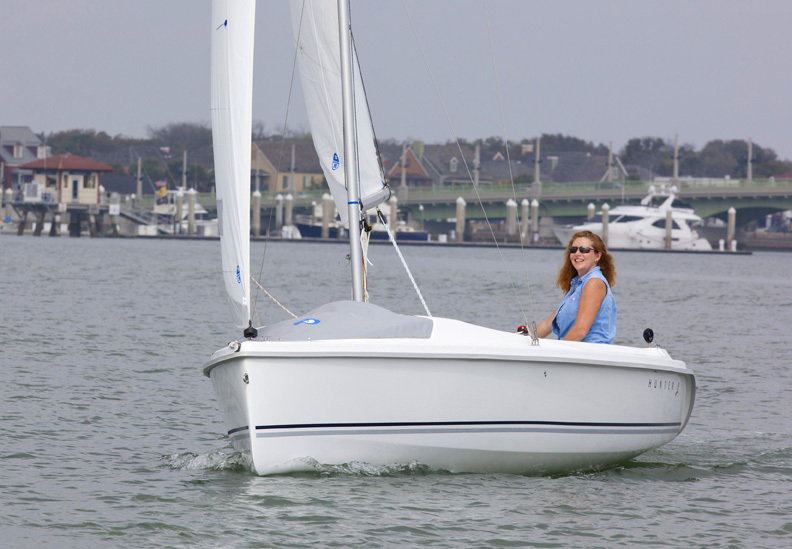 The fiberglass Marlow-Hunter 22 is the ultimate daysailer– with great overnighting capability! 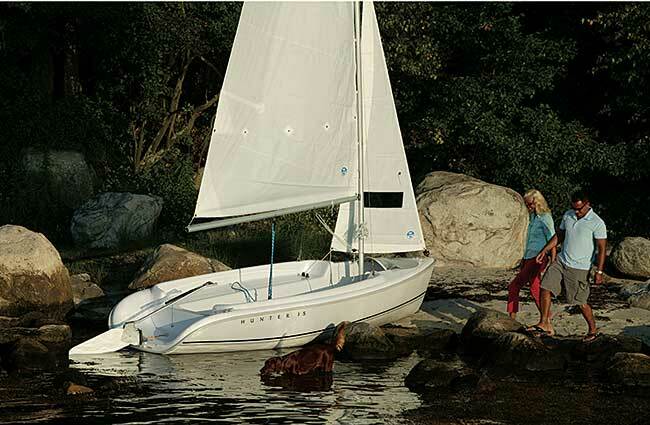 This stable platform is rated for five persons and will keep the family safe and dry but will get up and go when you want to run. 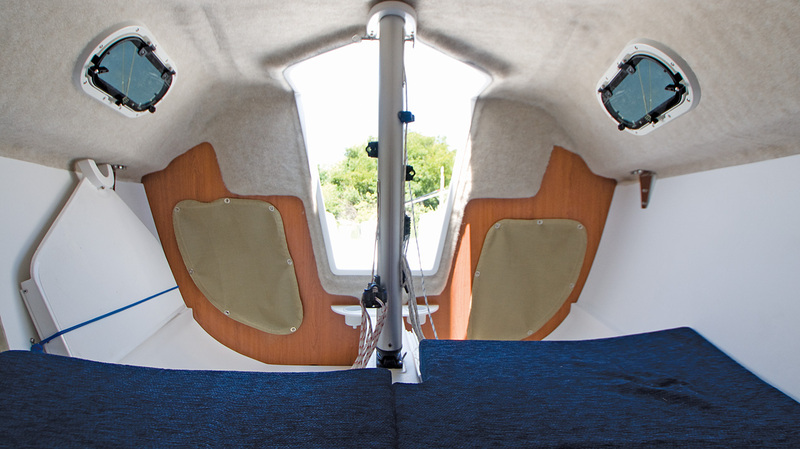 The large cockpit accommodates the entire crew in comfort, while the extra large cuddy is fun for overnighting, with opening, screened ports, a roomy comfortable v-berth, and space for a portable head. 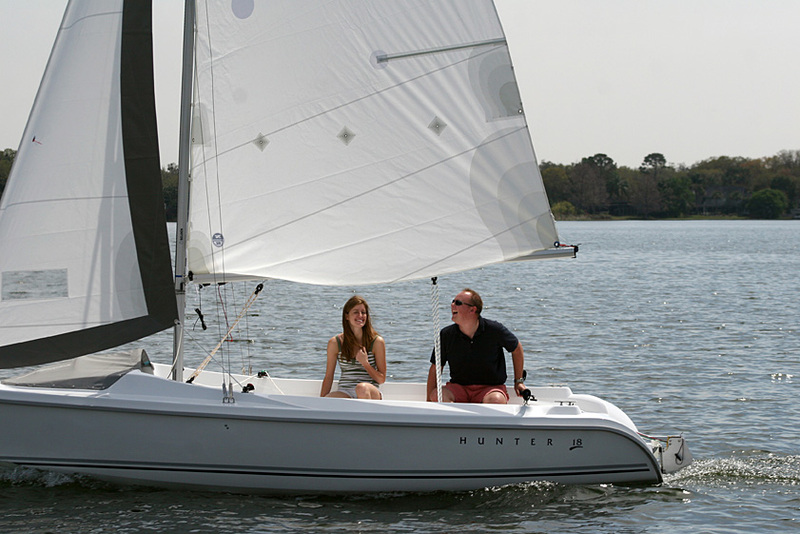 The Marlow-Hunter 22 is super easy to trailer, rig and launch and is sure to become your favorite weekend escape! 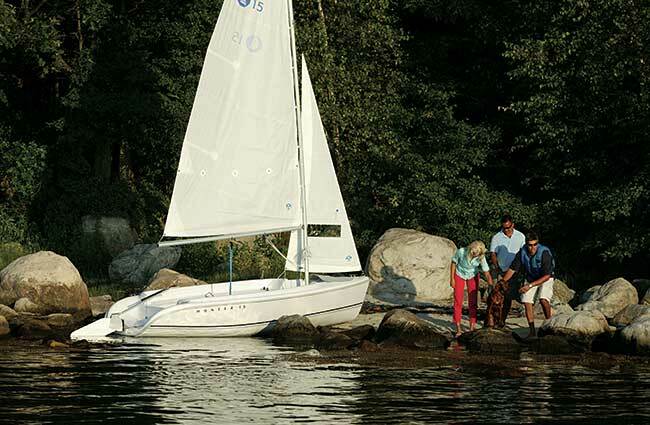 It’s time to set your priorities and enjoy life again! 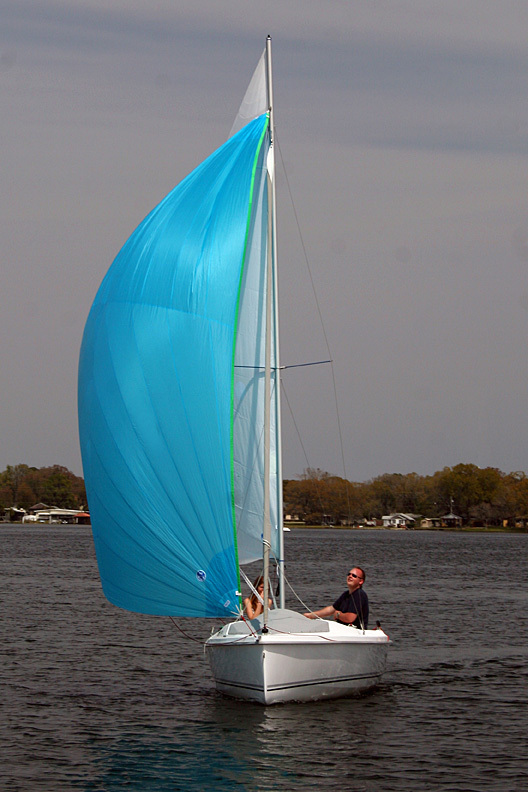 Pricing starts at $29,990. 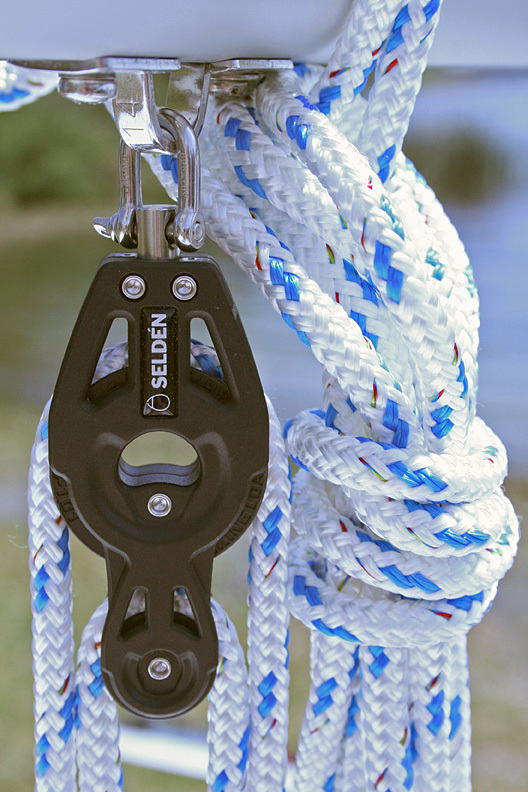 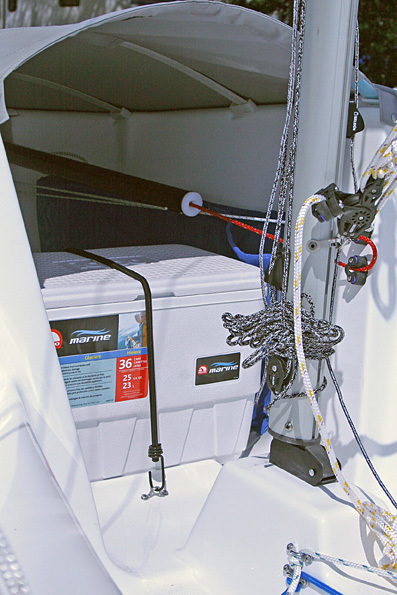 The 15 – Safe and Versatile for Everyone! 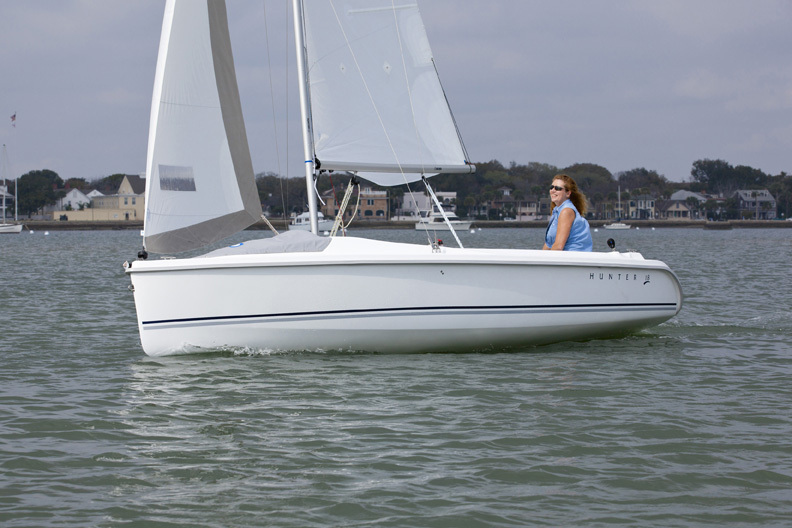 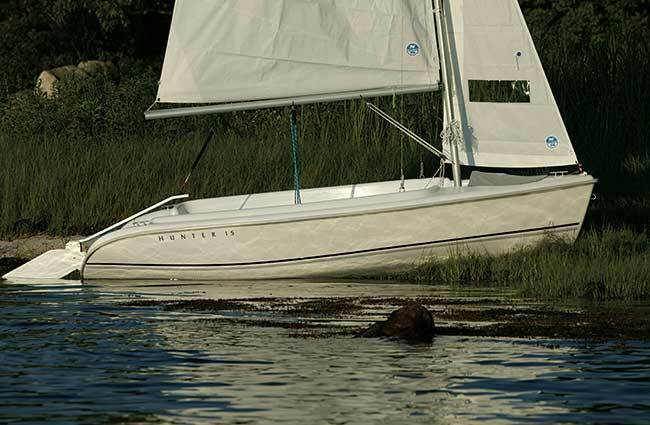 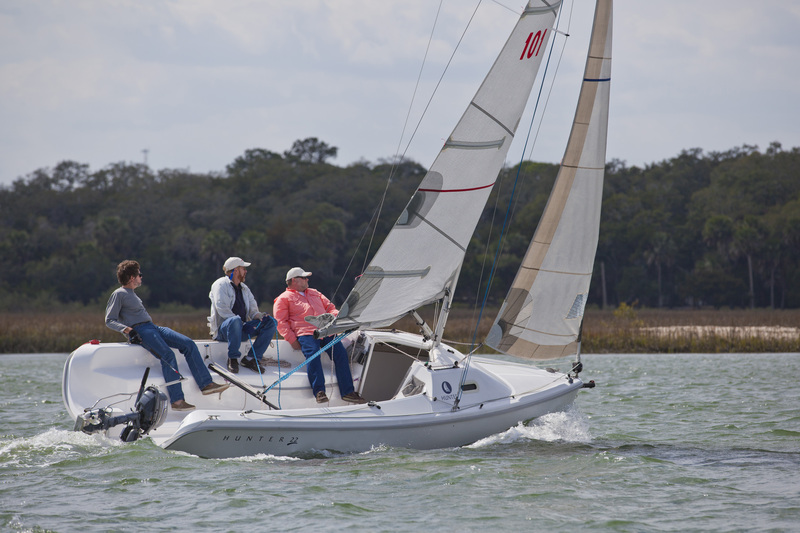 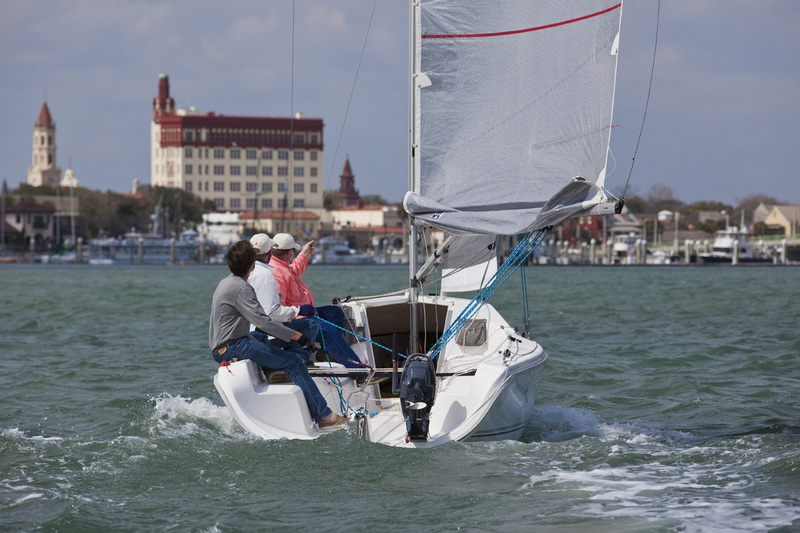 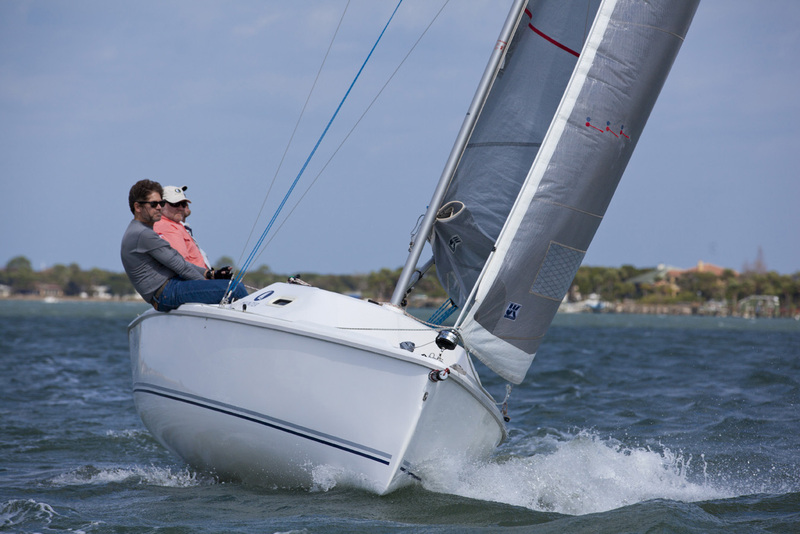 High freeboard, a raised boom and sturdy FRP construction make the Marlow-Hunter 15 daysailer a safe, versatile boat that both families and greenhorn sailors will love. 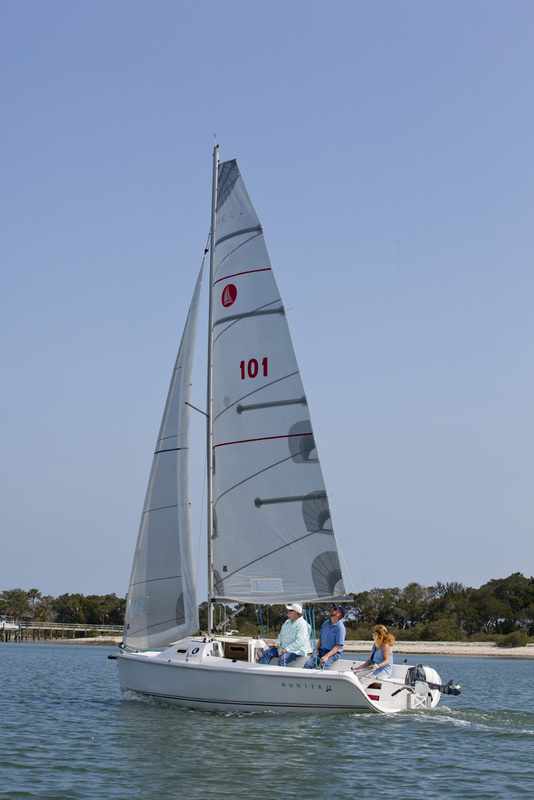 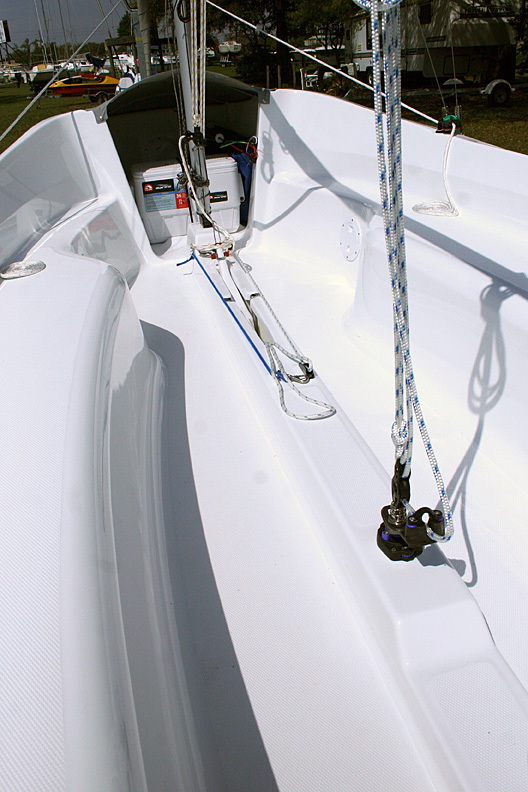 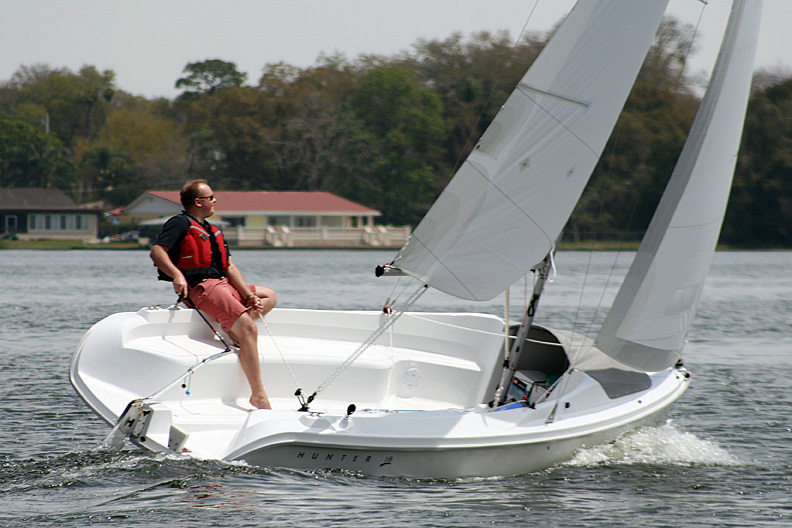 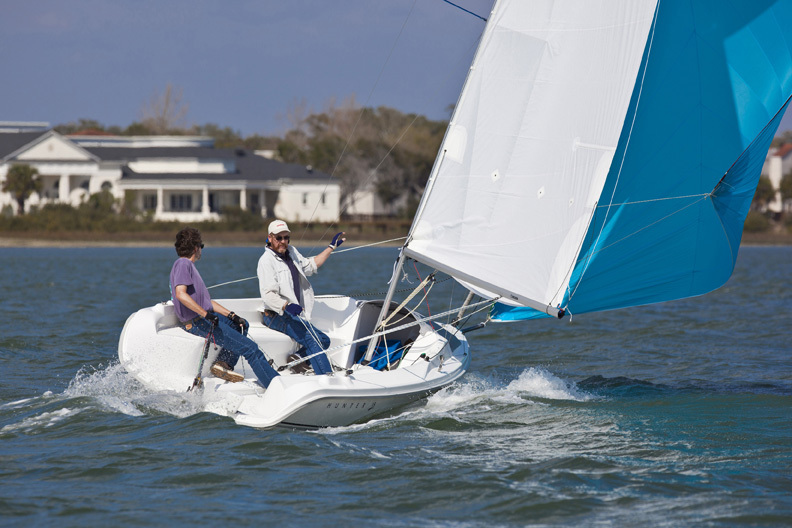 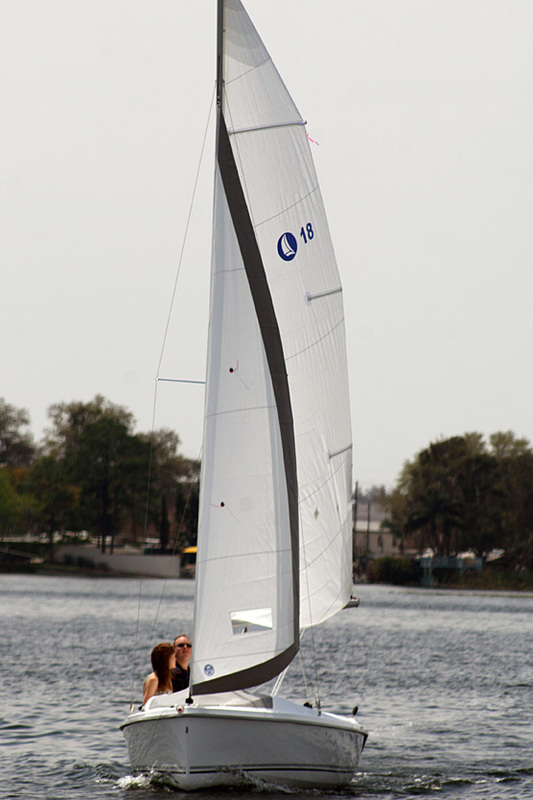 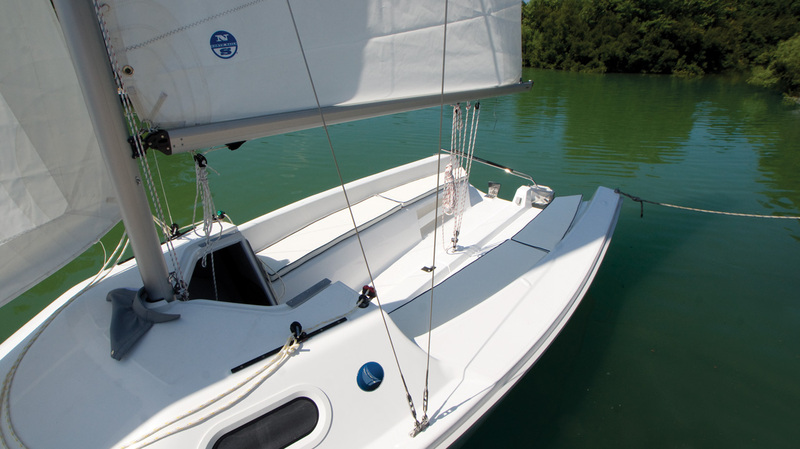 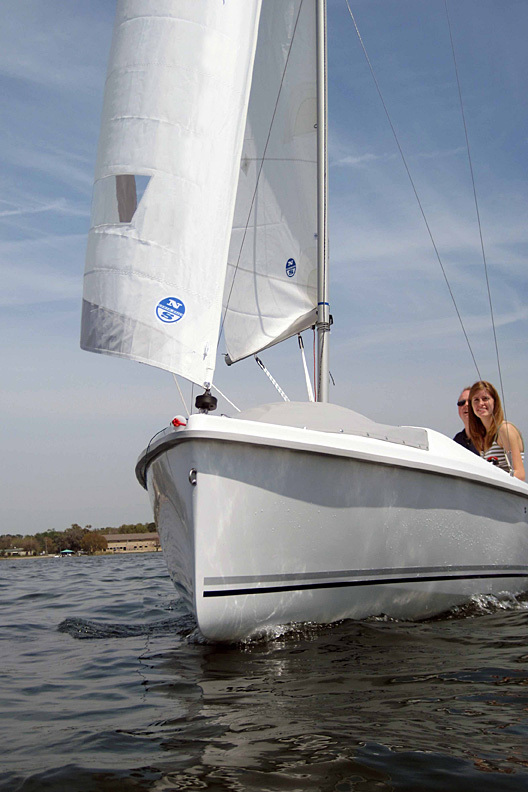 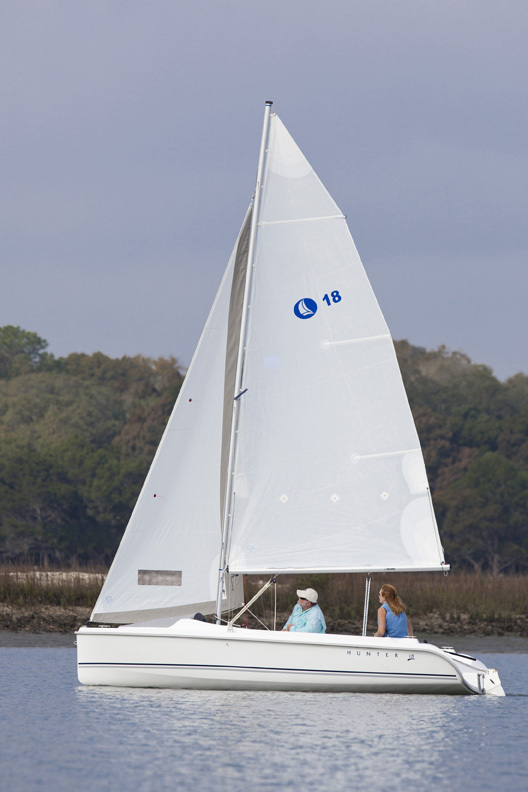 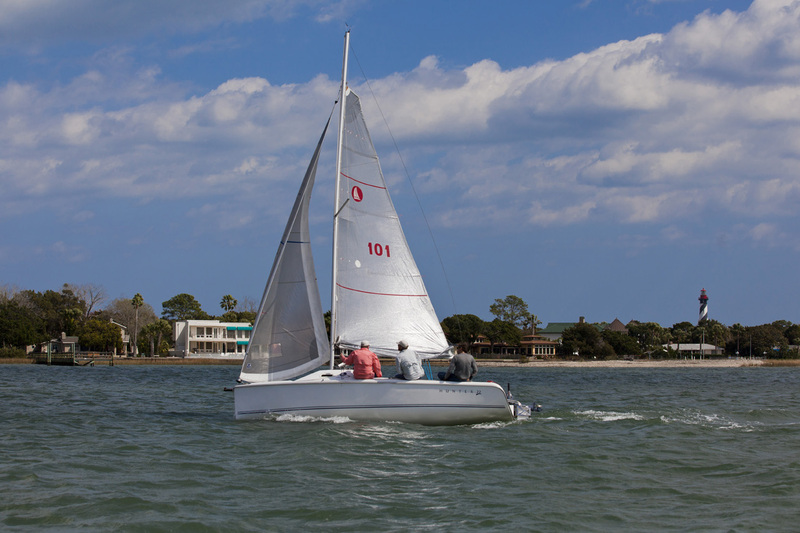 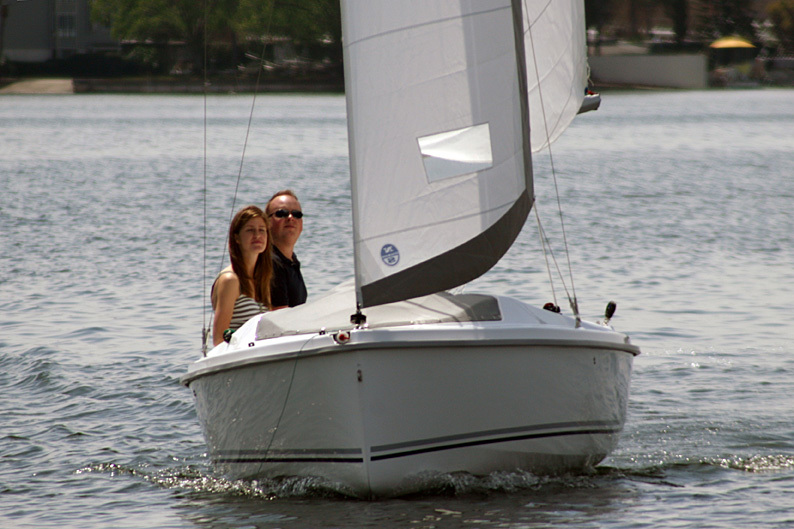 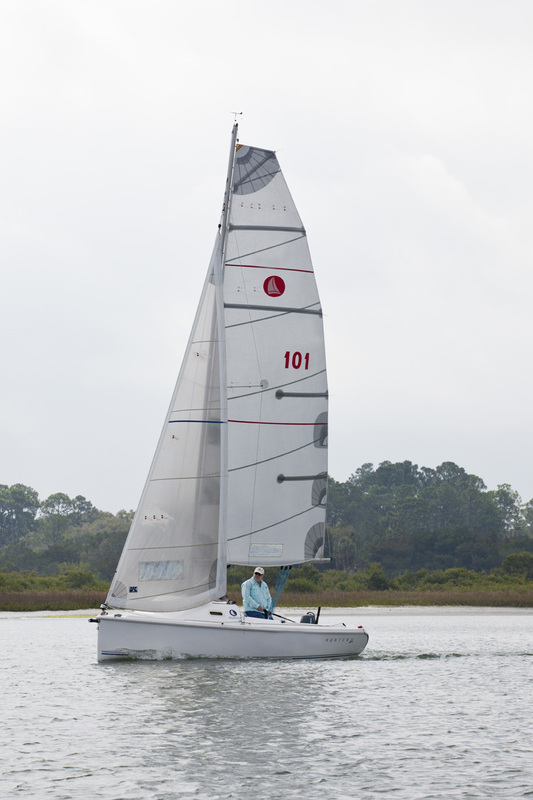 Designed with the novice in mind, the high sides, contoured self-bailing cockpit, and a comfortable wide beam will lend a confident feeling while under sail. 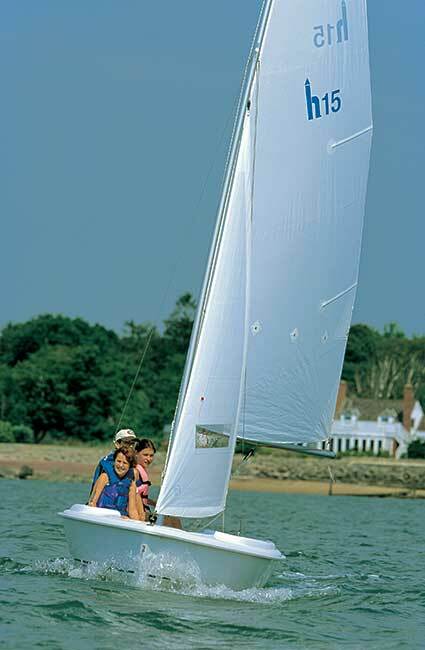 When the kids take to the water, these same design elements will provide peace of mind for the parents as well. 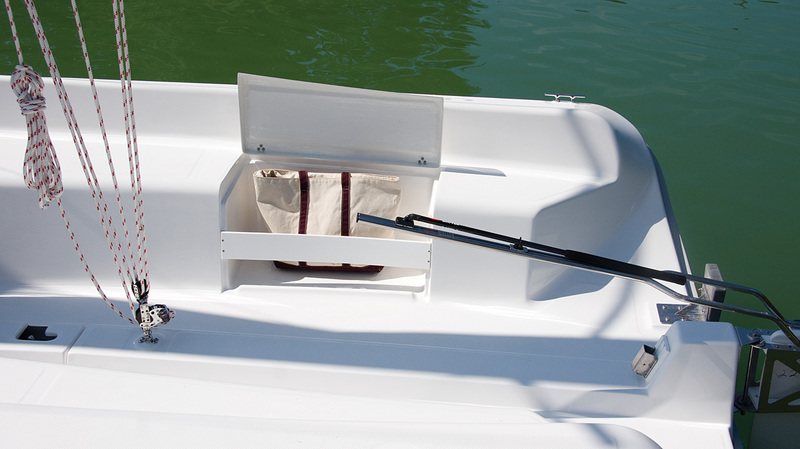 The Marlow-Hunter 15 is easy to trailer, rig and launch and will carry a crew of four. 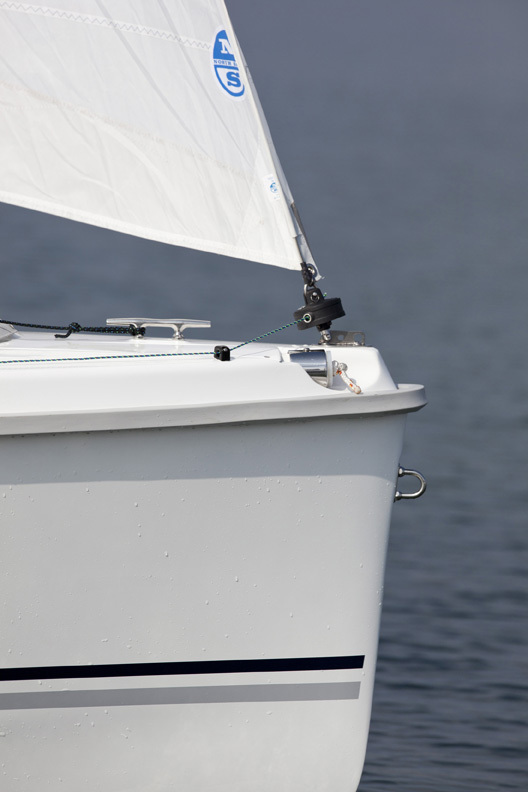 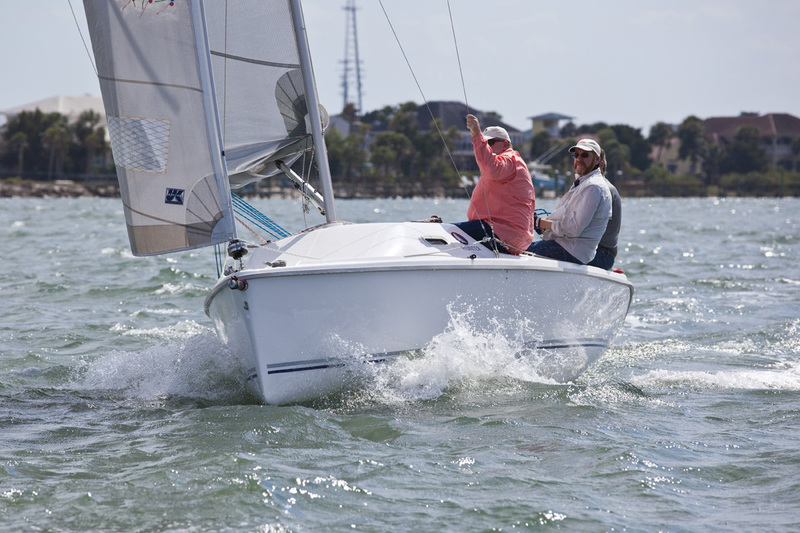 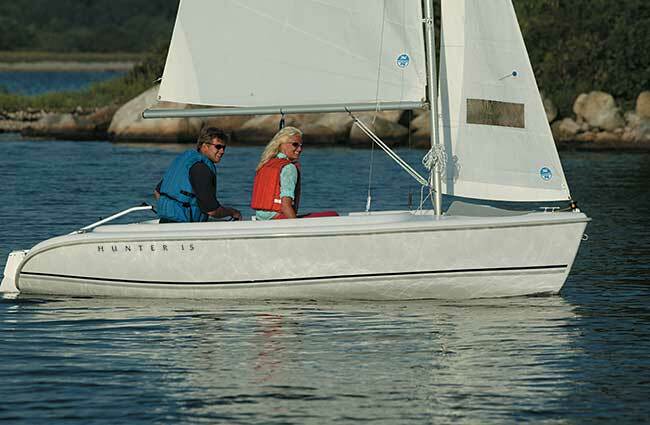 Whether you’re a seasoned sailor looking to bang around the buoys or a family on a Sunday outing, the Marlow-Hunter 15 is a fun, versatile boat that fits your sailing lifestyle! 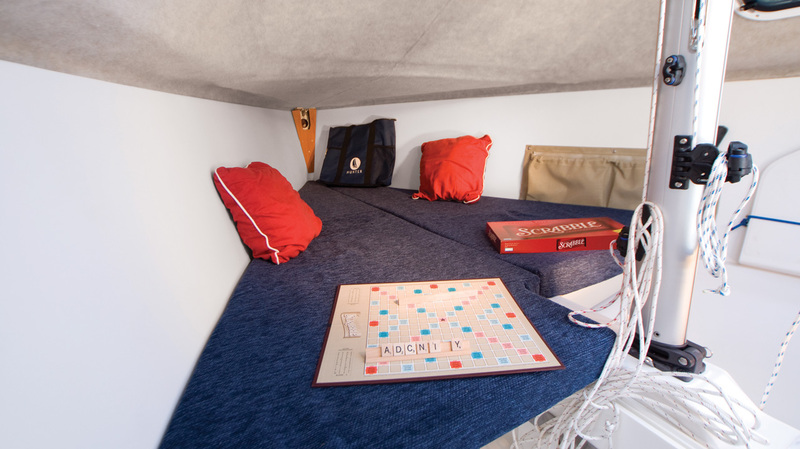 The fun begins at just $10,123.